A2 Vocabulary practice realted to adjectives that can be used to describe things or to give your opinion about something. The present downloadable teaching material was created for high school students and adults at Pre-intermediate (A2) level. 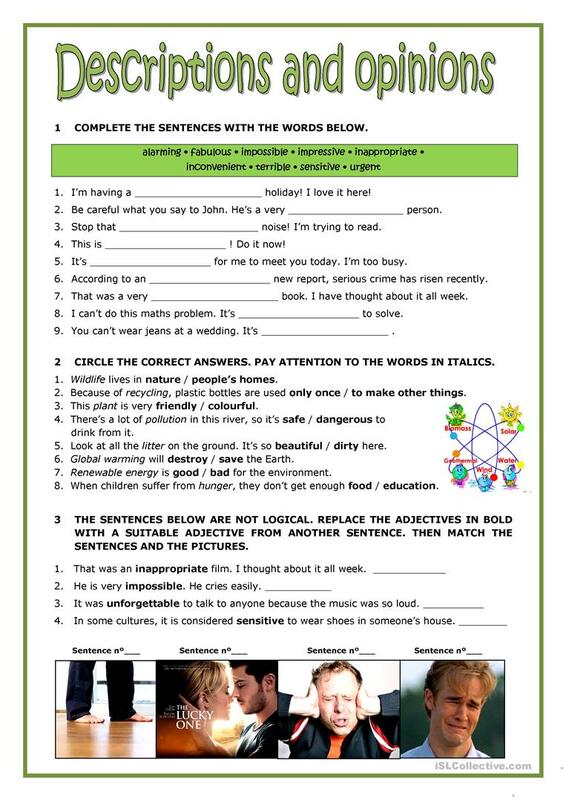 It is a useful material for practising Adjectives in English, and is a valuable material for working on your class' Speaking, Reading and Writing skills. It is focused on the topic and words of Describing people.